What a gem! This guitar has been gently used by its single previous owner. 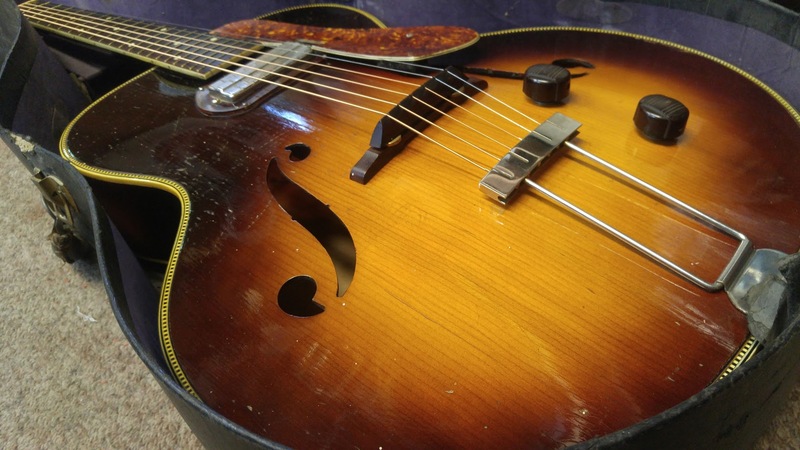 The solid spruce top doesn’t have a single crack, which is very rare for a solid top of this vintage. And what we believe to be Brazilian Rosewood was used on the fingerboard, a wood you won’t get to see a whole lot of in present day instruments. Original hardware and electronics are all in working order. The neck is beefy and in great shape, no truss-rod. We’ve made a new bone nut and lightened up the bridge a bit, which we find will almost always “open up” the sound and produce more volume. Other than that there was a few hours of buffing out the top to its original sheen and a little bit of set-up and she’s off to the races!